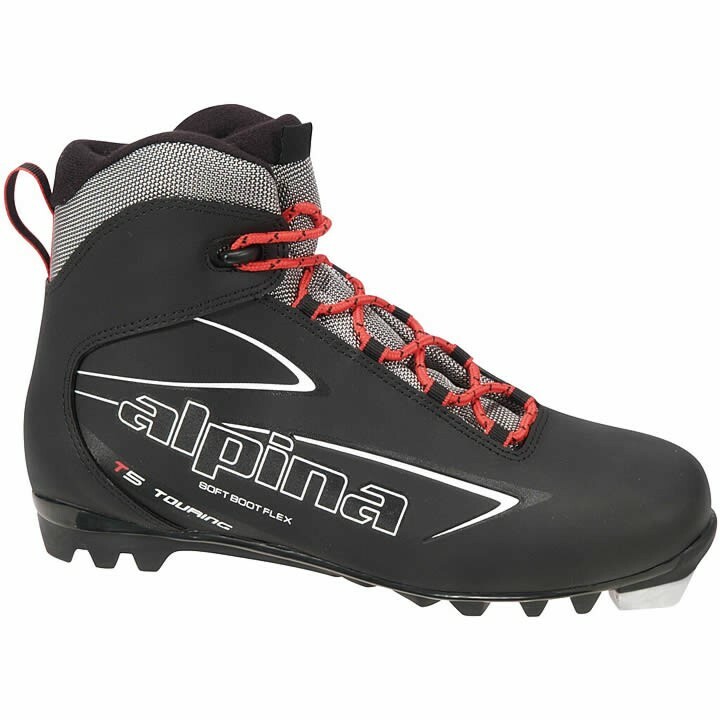 The Alpina T 5 nordic ski boots deliver serious bang for your buck. These touring boots are comfy, warm, and cozy with a soft flex so they remain comfy all day long, while a wrap around heel counter provides added control and support. Whether this is your first ski boot or you have been skiing for years but prefer a more relaxed approach to the sport, the T 5 is a great choice. I normally wear a women's 10. Should I get a 42 or 43. Also broke my ankle before and looking for very good ankle support. Will the alpina T-5'do that? Alpina has a tendency to run on the slightly larger side so, for a Women's 10US we would recommend a size 42UK. The Alpina T5 features a soft cuff that encloses the ankle and a soft flex but does not feature any stiffer material that will help to protect and support the ankle any further. If you are looking for a boot with good ankle support, we would recommend a boot like the Alpina T-40 Eve (size 42UK) or the Rossignol X5 (size 43UK) as these boots offer a plastic cuff which provide better mobility, stability and control over the Alpina T5's soft cuff.